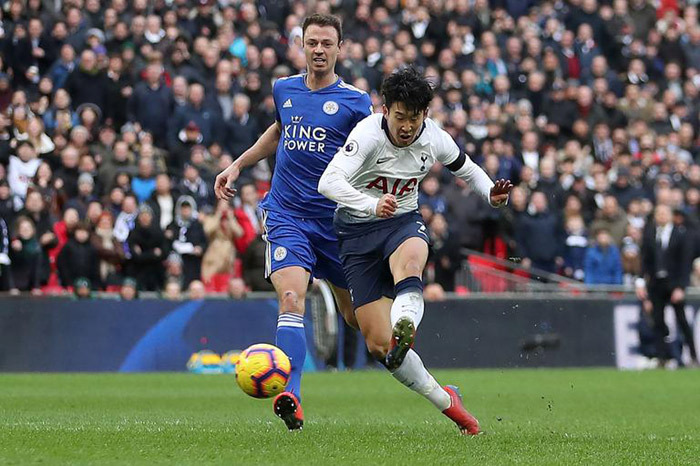 Son Heung-min of Tottenham Hotspur scored the final goal in a home game against Leicester City at Wembley Stadium in London on Sunday. It was his third goal in as many matches since he returned from the Asian Football Confederation Asian Cup in late January, in which he took part for the Korean national team. The goal during stoppage time was his 11th English Premier League goal of the season.